Think of a home design like the Lyndhurst Lodge as a highly flexible starting point for laying out the inside of your home. For example, the second story Recreation Room could be subdivided into a Playroom and Laundry. And the Laundry on the first floor could be a walk-in Pantry. 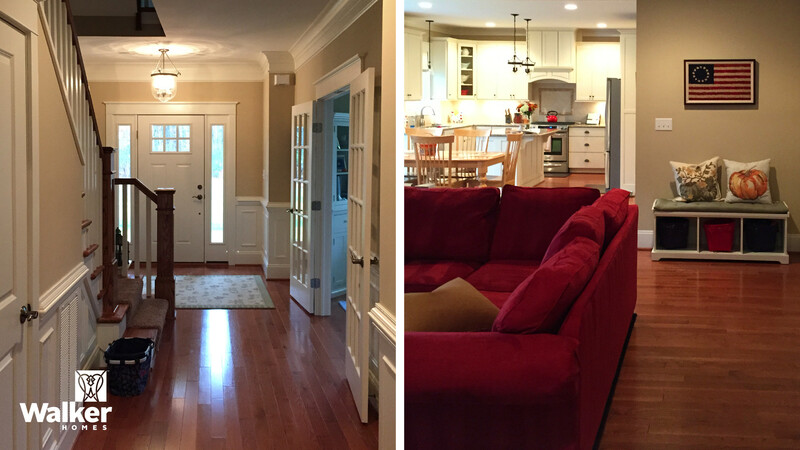 A broad archway flanked by square columns separates the Kitchen from the Family Room. Though it is still a big, open space, it works as two separate rooms, each with its own distinctive personality. 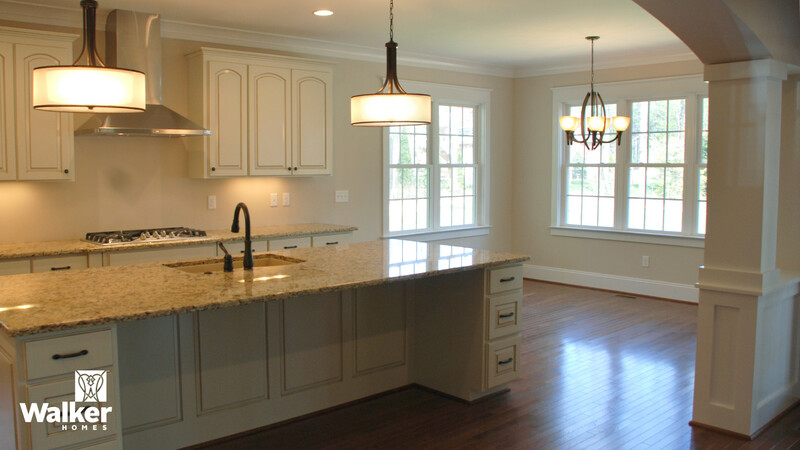 Stage right of the Kitchen is a sizable Breakfast Niche with lots of windows. 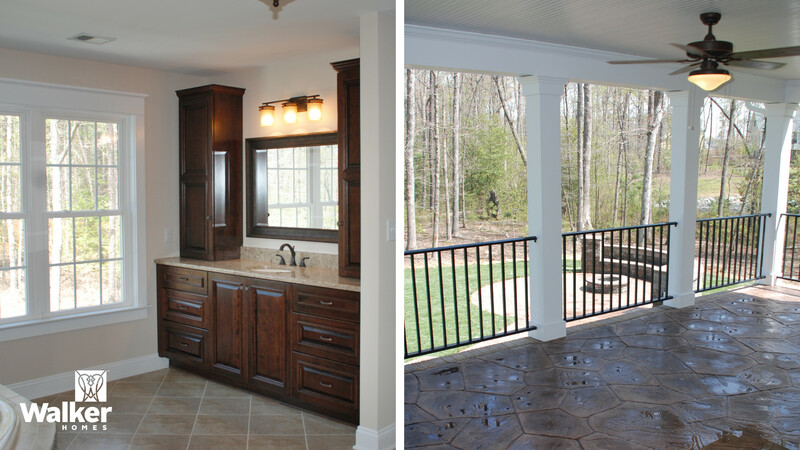 Other possibilities for the Lyndhurst Lodge include rich wood custom cabinetry in the Master Bath (left) and a Porch with a distinctive stamped concrete deck overlooking a Fire Pit for chilly fall evenings in the out of doors (right). 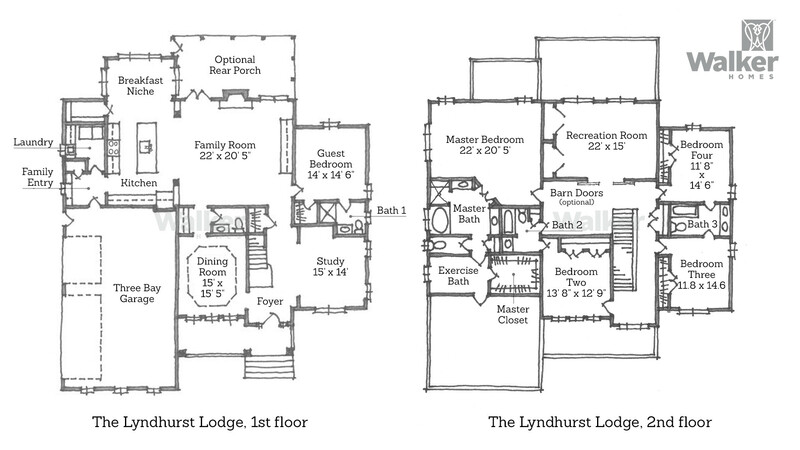 (Left) This version of the Lyndhurst Lodge features a staircase that faces into the adjoining Living Room. 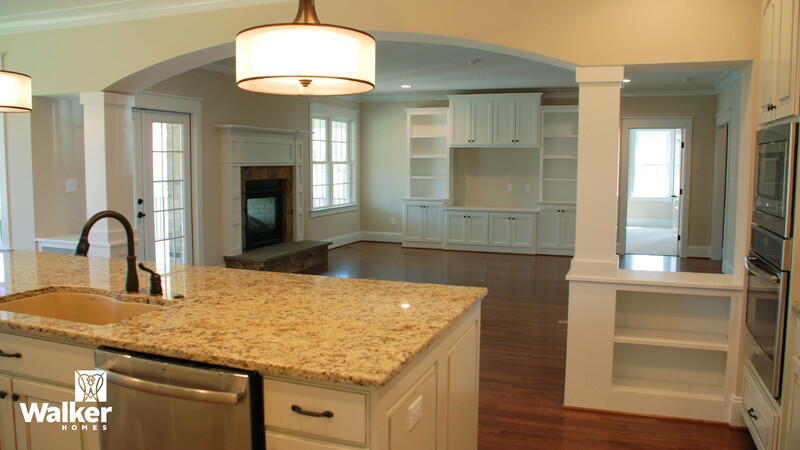 (Right) A view of the Kitchen from the Family Room. 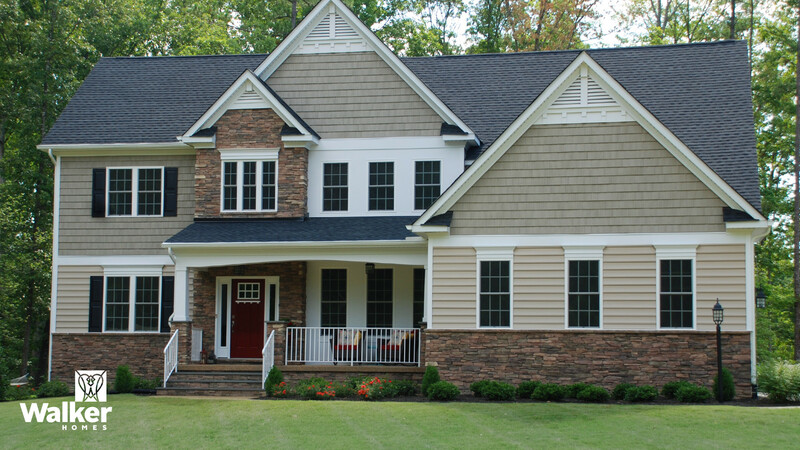 This variation of the Lyndhurst Lodge elevation features a stone foundation, lap siding, straight-edged shake shingles, and cottage-style gable vents. Another variation of the Lyndhurst Lodge elevation employs a different stone treatment and color scheme.